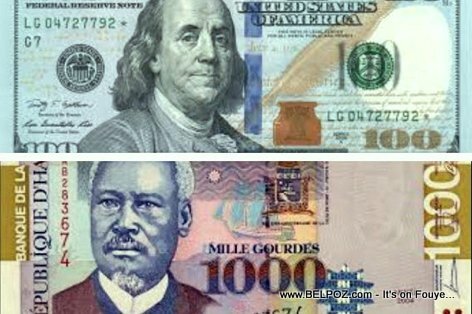 Once upon a time, FIVE Haitian gourdes was equivalent to ONE U.S. Dollar. it was written directly on the Haitian currency. Nowadays you need lots of Haitian gourdes, more than 70 gourdes for one US dollar.